Since it is your duty to repair and maintain the property, state laws allow for you to enter the property for specific reasons after providing sufficient notice to the tenant. When you arrange for a time to enter the rental unit, be sure to schedule a time when the tenant will be there. You might be tempted by the idea of setting up a time when the tenant is not there, thinking it will enable you to check a few things out like the condition of the air filter, the new refrigerator you had installed before the tenant moved in or the carpet in the bedroom where you suspect they are locking up their dog during the day. But you need to resist this temptation. If you – or even a contractor you hire to make a repair – enter the property when the tenant is not there, even though they gave you permission, you might find yourself having to deal with an allegation of theft. Also, even though you have agreed on a time of entry with the tenant, you cannot force your way into the property. If the tenant changes the plan when you show up and says you can’t come in that day because they are unexpectedly watching their 5-month old niece, or they just have a headache, you can’t insist upon entering. The one and only time when you can enter the property without notice – or even permission – is in the case of a true emergency. So, what is actually an emergency? A basic definition to follow is something that is a threat to either someone’s life or to the property if not dealt with immediately. Specific examples would include seeing smoke coming out the door, water leaking into the unit below or the smell of gas from an open window. Otherwise, if it can wait, you must give notice and get permission! In keeping with the mutually respected relationship you strive for with your tenants, you should leave a quick note for your tenant, indicating what happened in the event you have entered for an emergency. For all other entry needs, you must follow the notification requirements of your state. The best way to notify the tenant of anything is in writing – and entry requests are no exception. If you request entry verbally, be sure to follow up with a confirmation in writing – document everything! State laws can restrict the times of day when you can enter the property, but some states vaguely leave it at “reasonable time”. If your state does not give specific guidelines for entry times, be sure to keep your requested time reasonable – sometime between 8:00am and 8:00pm on weekdays and 9:00am and 3:00pm on weekends should be acceptable. Of course, you can enter the property at any time that is convenient to both you and the tenant, so long as you both agree on the time and you don’t force a late or early time on the tenant. You can also enter the property without the notice required by state law if the tenant gives you permission. So, let’s say you are fixing a problem for a tenant who set up an entry time in advance with you and you run across another tenant. You can ask that tenant if you can quickly check to see if they might be having the same problem – and if they say yes, you are well within the parameters of the law. 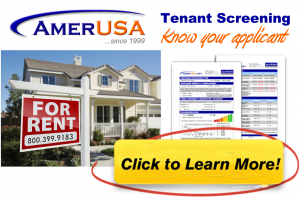 Your lease should require that the tenant inform you in advance of any long absences they may have from the property. Anything longer than a week should be the concern here. The lease should also inform them that you intend to enter the property if it becomes necessary during this time. Of course, you should only enter the property if it is absolutely necessary. For example, the temperature dropped dramatically and you need to make sure the pipes haven’t burst in the basement – or the gas was shut off during an emergency in the neighborhood and you need to restart the pilot light in the hot water heater, so the house doesn’t fill up with gas. Your focus should be on doing something that the tenant would normally need to do in order to protect or maintain the safety of the property. While most state laws recognize your need to be able to look after your investment by showing it to the next prospective tenant or a buyer, you still must take care not to invade the privacy of your current tenant or anger them by parading a bunch of strangers through their home day after day. Any showings should be limited to the last few weeks of their tenancy if possible. If you are selling the property in the middle of their tenancy period, you should be sure to communicate with them as openly as possible and reassure them that their lease will continue. A special note of caution: You should avoid having signs placed on the property indicating it is for sale or rent. This would only invite strangers to show up unannounced at the property wanting to see it or know more about it from the current tenant. The same goes for realtors’ lock boxes. Your obligations to the tenant and their privacy must come first. See each state’s Notice of Entry requirements. Next Next post: What Makes You Negligent?